Having moved on from Vol City in their mission to hunt down horrors, Ryuga and Rian face a new challenge when Ryuga collapses in pain following use of the Garo armour in battle. Zaruba explains that the armour has built up a sizeable amount of negative ki and is in desperate need of purification. 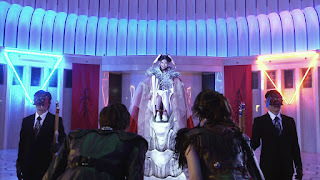 This prompts them to travel to Line City in search of Lady Ryume – a powerful Makai Priest who is able to do this. However when they arrive at Line City they soon discover there is a plot set in motion by Agou – an ancient Makai tool that deactivated centuries ago following his creator’s death. Reviving in the present, Agou plans to use a piece of the powerful Horror Degor to carry out his master’s wishes of eradicating all Horrors from the world – no matter the cost. Stripped off his armour until Ryume can finish the purification process, Ryuga must use his own skills to fight against this new threat. Even though Gold Storm is most definitely a sequel to The One Who Shines in the Darkness, it also works as a pretty reasonable jumping on point for those less acquainted with this side of the Garo universe. The references to the previous series are minimal and easily understood, while its expanded cast has been significantly reduced to focus on the duo of Ryuga and Rian. It’s the closest Makai Knight/Priest partnership any Garo series has had so far, skirting a similar romance line as the Kouga/Kaoru chapter but handled in a different way. Both characters are skilled and dedicated to their work, but also have a humorous side that they aren’t afraid to let out. Both this film and the subsequent series have displayed how great a dynamic this is, and hopefully it will continue to expand in further adventures set in this chapter of the franchise’s chronology. Lady Ryume’s introduction as the pair’s new Watchdog of sorts is satisfying enough, serving a distinct purpose in the progression of the film as well as providing an opportunity to display her rather unique fighting style. While her inclusion could easily be boiled down to “the bringer of the upgrades”, this type of character was an element the Ryuga Garo lacked and her arrival makes it feel less distanced from the Saejima Garos. The same can’t really be said unfortunately for D-Ringo and Yukihime, who are just as much an enigma here as they are in Gold Storm -Sho-. Arguably the series is more at fault for the film than this, as it was that which introduced them as recurring characters and failed to capitalise on it. Here, they simply serve as quirky extras with inexplicable ties to the plot and general Makai lore. With the franchise already having covered good ground on “big” Horrors, rogue Makai Knights/Priests and even normal humans as the main adversary, this time it’s the turn of a Makai tool to disturb the piece. Agou is an interesting, if somewhat predictable character – a logical and emotionless but with the body and expressions of a person. What was once a heroic tool has been decayed by both time and personal loss, to the point where he can’t even recognise how warped his outlook on how to carry out his purpose has become. While Agou himself doesn’t offer a lot in the way of character development, his outlook and motives make for an interesting bit of internal debate for Ryuga and Rian. His armoured design is also a nice contrast to the various Makai Knight armours that have appeared in the show – bulkier and adding a more Samurai-esque touch to things. Of course Gold Storm also isn’t without the obligatory giant CGI Horror, as the very impressive Degor emerges in the final battle in spectacular fashion. 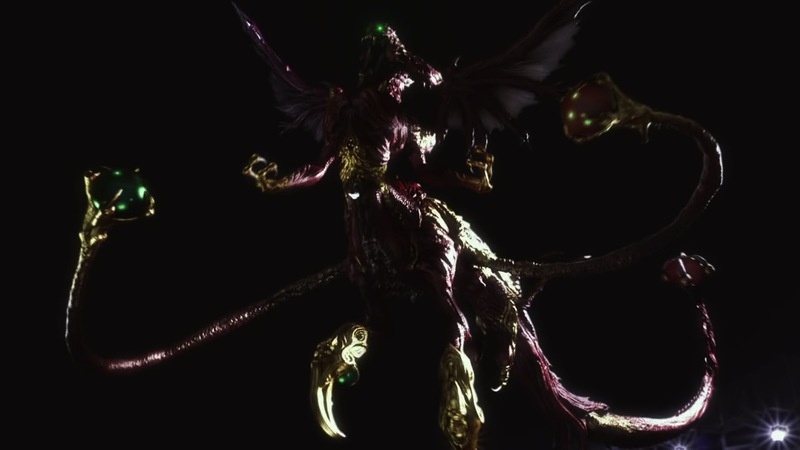 Like most Garo productions there’s also a minimal amount of suit action, but with the film actually providing a legitimate reason behind it for once it becomes much easier to swallow. 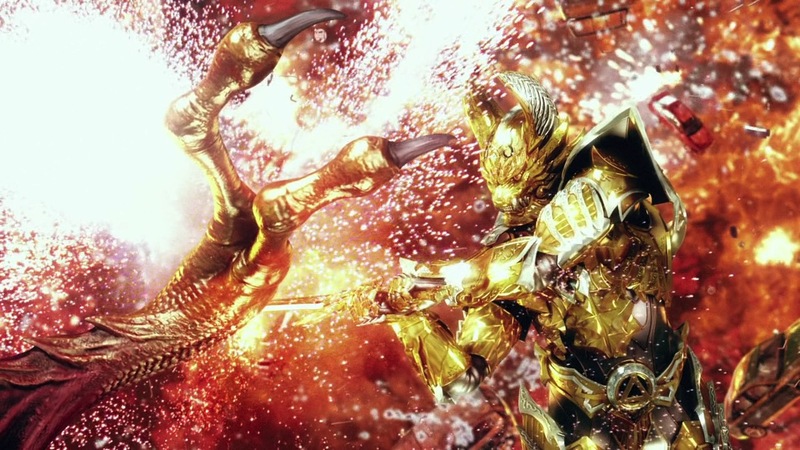 Gold Storm still manages to get two big armoured sequences in though and neither disappoint. 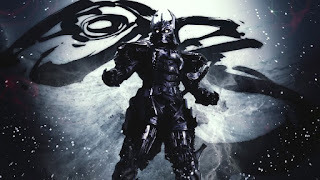 The first comes early on in the film is likely the swansong of the standard Garo armour in a Ryuga-centric story, while the second is the grand debut of his new Sho armour. With the final fight predictably grandiose both have their fair share of CGI, however both suits do appear in physical form – making things feel much more in place after Ryuga’s especially CGI-heavy first series and setting a good precedent for the series that followed. While the Sho armour’s status as a sort of power up is extremely short-lived (by the time -Sho- rolls around it just feels like the standard armour – eventually getting an upgrade of its own), here it feels like a big moment as the action kicks into overdrive for the final set piece. But what really makes Gold Storm such a joy to watch is the fantastic range of location filming the show has on offer. Moving from an arty CGI landscape flashback to a gang-filled tower reminiscent of films such as Dredd or The Raid, the movie then moves the action back to a more familiar cityscape. From there it features a quarry, a forest battle, a concert-hall showdown and a highway skirmish before taking the skies for the big CGI end. The alternating sceneries keep the film varied and interesting, while the exceptional fight choreography and wirework supplies the adrenaline. 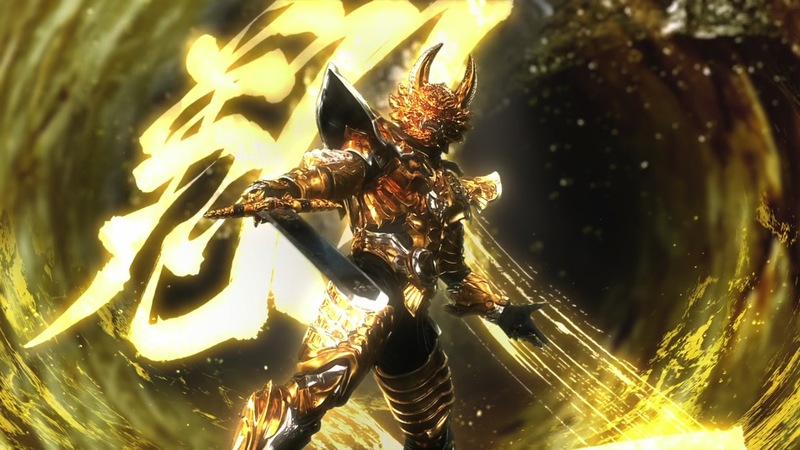 Just as some of the more recent entries have started to make it feel like the Garo franchise is beginning to get a bit too watered down, Gold Storm has come along as a reminded of just what it’s capable of. Not only possibly the strongest cinematic entry for Garo, it’s also perhaps the best it has been since Makai Senki back in 2011. 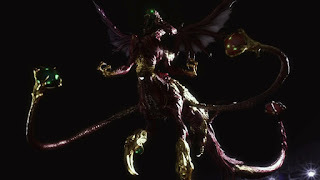 The grand return of Ryuga and Rian comes packed with interesting new characters, beautiful location filming, new tidbits of Garo lore and that all-important high quality action that makes the show so thrilling to watch. The Garo franchise may have branched out exponentially in the last few years, but this film is proof that it hasn’t completely lost the magic just yet.